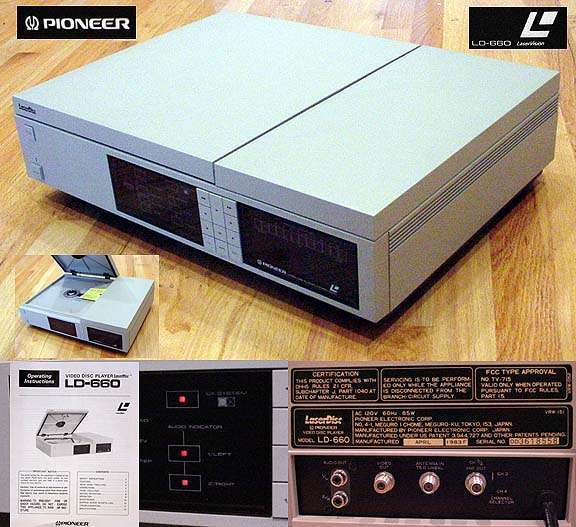 Pioneer's "basic" player is part of the 2nd generation of LaserDisc players. This player lacks nearly all the normal functions like search, chapter index, frame displays and so forth. However, it also has no preference for MCA or Philips code, so it will spin up and play anything it can synchronize. Because it ignores all the normal frame numbers, end of side, AutoStop and so forth, it is perfect for playing GM discs and troublesome titles like Frenzy Side 5. The player incorporates a variable tangential circuit which helps compensate for time based correction errors more smoothly over the course of the entire disc. 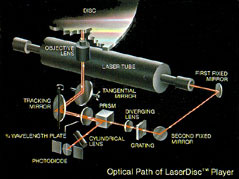 The tangential correction is accomplished with the use of a 2nd pivoting mirror. Some of the last units made in this model line were re-calibrated and optimized for CLV playback, which renders it a bit more stupid for CAV discs. This can cause laserlock on some "less than perfect" CAV discs. 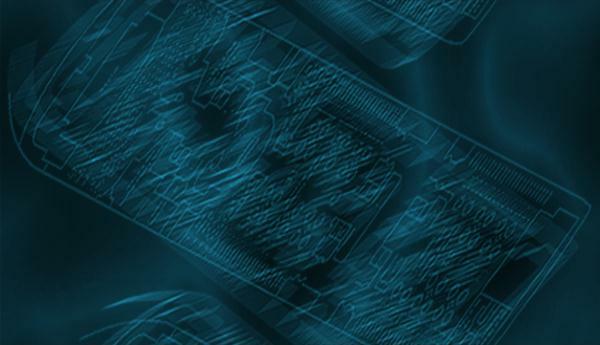 On startup of a disc, the pickup will simply begin playback from the players inside limit setting. This can cause some problems on older CLV titles (Columbia Pictures Stir Crazy) where the player will refuse to play the beginning of a side. Ignores disc based codes for Auto Picture stop, End of side, beginning of side, etc. Thanks to Blain Young for use of the material.